For Day 3 of the GreenEyedGuide Caffeine Challenge, we discuss the Friday Night Dilemma: what do you do when you get tired at 10 pm but you want to enjoy a night on the town and have an alcoholic beverage? March is Caffeine Awareness Month – Join the Caffeine Challenge! THIS IS WHAT HAPPENS WHEN YOU MIX CAFFEINE AND ALCOHOL! Passing out when you’ve had too much alcohol is your body’s way of making sure you don’t die. When you have caffeine, it overrides this built-in safety mechanism. Mixing alcohol and caffeine isn’t new – there were Irish Coffee concoctions long before Vodka-Red Bull and Jager Bombs. But this combination messes with the senses – it can make someone feel like they’re “not that drunk”, so they will be more likely to keep drinking or drive under the influence. This is how people get hurt. If you absolutely must have some caffeine because otherwise you’ll be too tired to party, you must give yourself AT LEAST a 30 minute window between your last sips of caffeine and your first sips of alcohol. The caffeine will stay in your system for another 4 hours or so, but caffeine takes 20 minutes to take effect so at least you’ll feel that caffeine buzz before you start getting buzzed. To learn more, check out this article by Caffeine Informer. Caffeine Informer has compiled all the research studies and reports that helped us arrive at the conclusion bartenders have known ages ago: Giving a drunk person coffee just makes them a wide-awake drunk. It does not make them any less impaired (or obnoxious). Want more science-nerd meets comic-nerd meets caffeine-lover posts? Let me know in the comments below. Shout-outs on Twitter, Instagram, and Facebook are always appreciated. Watch as CaffeineAddict gives a shout out to GreenEyedGuide’s energy drink book! When someone named CaffeineAddict endorses your book, it’s a great day. Watch below as CaffeineAddict talks about my book, “Are You a Monster or a Rock Star: A Guide to Energy Drinks — How They Work, Why They Work, How to Use Them Safely”. CaffeineAddict’s energy drink reviews are funny, informative, and creative. His use of pop up memes always make his reviews fun to watch. Since he’s from Norway so he often finds drinks not available in the US. Even when he reviews products common to the US (such as Monster or RockStar), it’s fun to see how different the formulas and labels are internationally. This is a great review. I laughed when CaffeineAddict looked at the expiration date. Vitamin B2/Riboflavin is very yellow so maybe it is reacting with something to create that green shine. I felt special when he mentioned the caffeine and sugar content because I always put that question in the comments of his review videos. I am SO GLAD he says people should not mix caffeine and alcohol. You can find CaffeineAddict on YouTube as well as Instagram. Thanks for your support – enjoy! 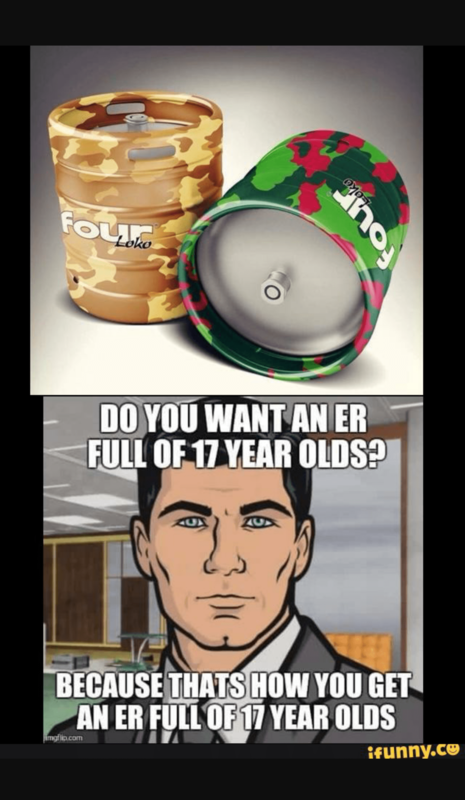 Four Loko was dangerous WHEN USED AS DIRECTED! In my book I review life-threatening events involving Four Loko and 5Hour Energy. 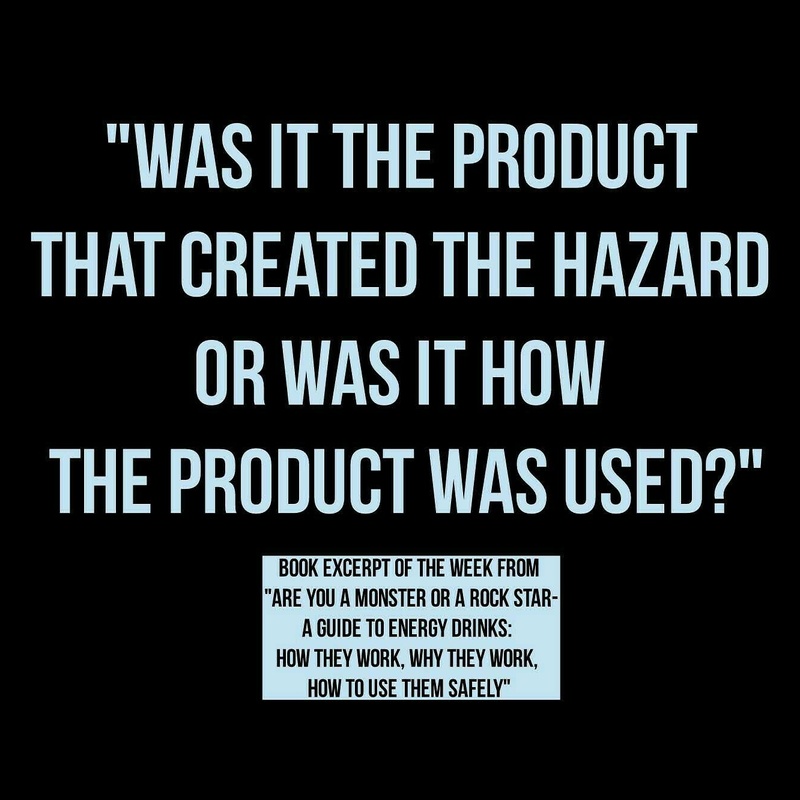 This question of product liability versus personal responsibility is a big issue, and one that needs to be addressed in EVERY news story or hospitalization involving caffeinated beverages and supplements.